Melissa Robbins, now on the ballot for a Democratic City Council At-Large seat in our upcoming municipal election, says she knew she wanted to run for public office since she was in second grade. It was President Jimmy Carter. “At that moment, that was it,” Robbins says. She felt an electric connection to that presence. Starting at age 19, Robbins served four years as a combat medic in the US Army. She’s an alum of the Community College of Philadelphia and went on to major in broadcast journalism at Temple. 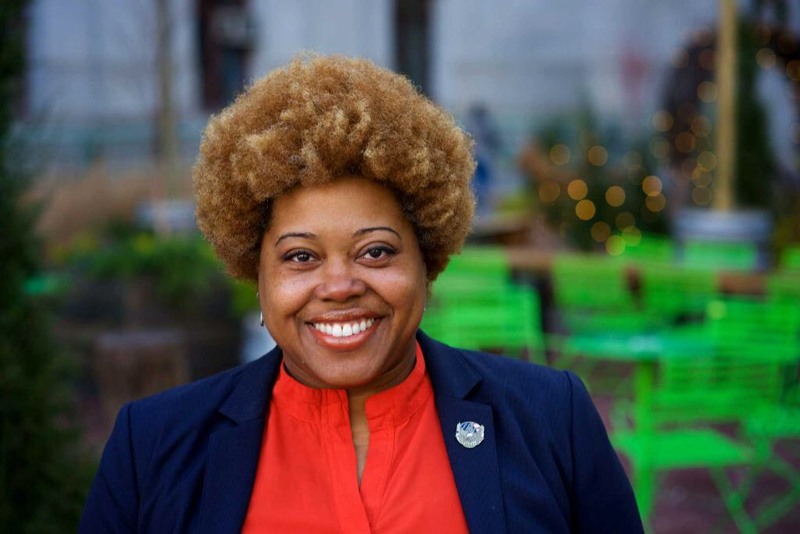 Last year, she hosted WURD radio’s The Source, but she’s spent the bulk of her recent career as a political strategist, from Philadelphia City Council campaigns to gubernatorial and presidential ones, and served as a delegate for the 2016 Democratic National Convention. She’s a mom of four, with the youngest in high school, and currently lives in Northeast Philly’s Fox Chase neighborhood. She’s entered a crowded field for that City Council role: no less than 41 candidates filed their nomination petitions in early March for one of seven At-Large seats—seven Republicans and 34 Democrats (two seats will go to candidates from a minority party, and five will be filled by Democrats). Robbins spoke with CityWide in the middle of petition season, during the pavement-pounding work of collecting signatures on nomination petitions, to get on the primary ballot. Robbins’s campaign takes particular aim at poverty, with attention to related issues like healthcare access and funding and infrastructure for Philly schools. Robbins’s campaign takes particular aim at poverty, with attention to related issues like healthcare access and funding and infrastructure for Philly schools. As a military veteran with years of hospital experience, she said that healthcare and poverty intersect at education. Coming from her early military career in a medical setting, she’s seen firsthand the success that’s possible where money is invested, and people get adequate access to care. And Robbins has a particular definition of “success” on a broad scale. Robbins wears her outspoken personality and her unfiltered identity proudly on the campaign trail, including a hashtag inspired by her hair: #GoWithTheFro. Especially after the story of a black high-school wrestler forced to cut his dreadlocks or forfeit the match went viral in December, it’s a good reminder to respect diverse identities. Get ready to vote this year in the municipal primary, coming up on May 21, with the general election on November 5.